The best place I’ve ever seen my name in print is on the back of someone else’s book. 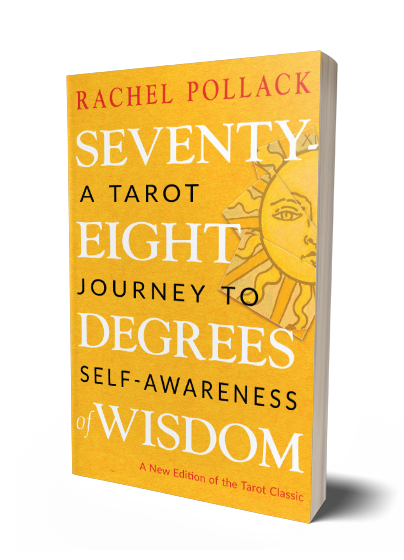 Rachel Pollack, grand dame and amazing author, tarot expert and honestly, just a really nice person has re-released her book, 78 Degrees of Wisdom. The publisher reached out to see if I wanted to say anything about it and I jumped at the chance. This book is the one that handed tarot to me. I speak Rachel Pollack, and can never properly express to her how much this book has meant to me. It handed me my livelihood, my favorite thing to do, my passion. This is the new, sunny cover and a new preface. It has not been revised, as the last revision was in 1998. 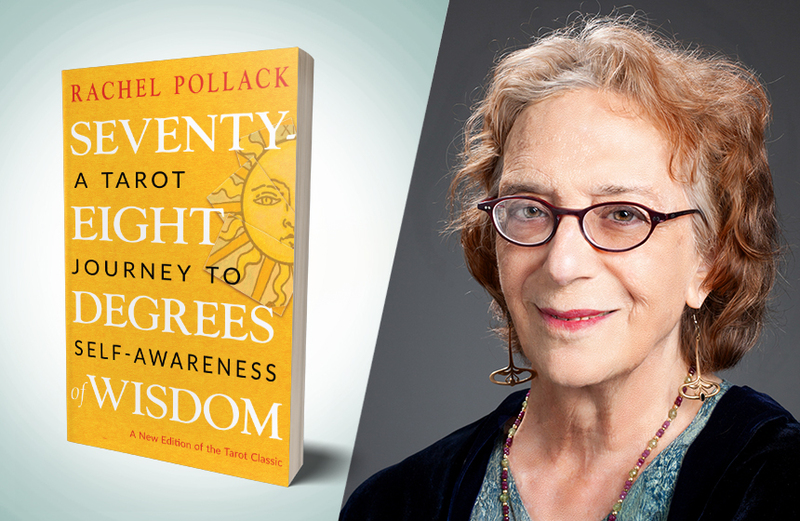 I got to talk to Ms. Pollack for a while, and I asked how often she gets remarks like mine – that this book was the key for them. RP: I hear it a lot, actually, that this is the book that changed everything for them. It was written to be a serious book – not just formula fortunetelling, but also something that was accessible to people who hadn’t spent their whole lives studying occult history. Before this I’d always written fiction – and you think about the story. With non-fiction, you think about who you’re trying to reach. Who is the reader? I wanted to reach someone who might not know anything about these traditions but who was open to them. That might have some empathy or sympathy to these ways. I always caught myself if I was assuming knowledge – assuming that people knew what I was talking about. As a result, a lot of people have found it really approachable. For example, The Hermit – what’s a hermit? People might think they know what a hermit is but maybe they don’t? Maybe they think it’s someone who’s antisocial or someone mystical who sits on a mountaintop. Something I thought about a lot back then is that hermits that we saw in stories and spiritual literature – we never saw them being hermit-y. We only saw them when they came back. When they’re being hermit-y, they’re all by themselves. In the tarot, the Hermit is holding out a lantern so people can see the light. He’s not off finding the light by himself, he’s bringing it back. We’re here and we’re either seeing the hermit coming back or leaving. When he’s hermit-ing, he’s not accessible to us or he wouldn’t be a hermit. If you ask, “Will I meet my soulmate at this party” and the Hermit comes up, no, you’re not. Get over it a bit and be alone for a while. If you got an occult book way back in those days it would be full of references of things you’ve probably never heard of. I tried to make it more accessible. MC: You’ve become, basically, “Rachel Goddamned Pollack”, over the years, and you have a huge reputation and a lot of weight that goes with you. You’re called Grandma Tarot in China. Does this ever get too heavy for you to carry? Teachers who don’t listen are not very good teachers. I bring stuff to the students in structured situations and then I just have a great time when the students come up with ideas and things to talk about. In China they have such reverence for teachers that it’s hard to have that exchange. MC: Is revisiting the work bittersweet? RP: There weren’t any revisions but I got to look through and remember the revisions made in 1998 – the more feminist approach to the cards. Especially the Moon card. It’s interesting to go back and look at something from so long ago. What’s most meaningful for me is the lives that it’s touched and the lives that it saved. Literally saved their lives. It’s wonderful. In the new preface, Rachel tells a story about the book saving a life, and it’s just beautiful. You can find this new copy at Red Wheel – Weiser and at all major booksellers.